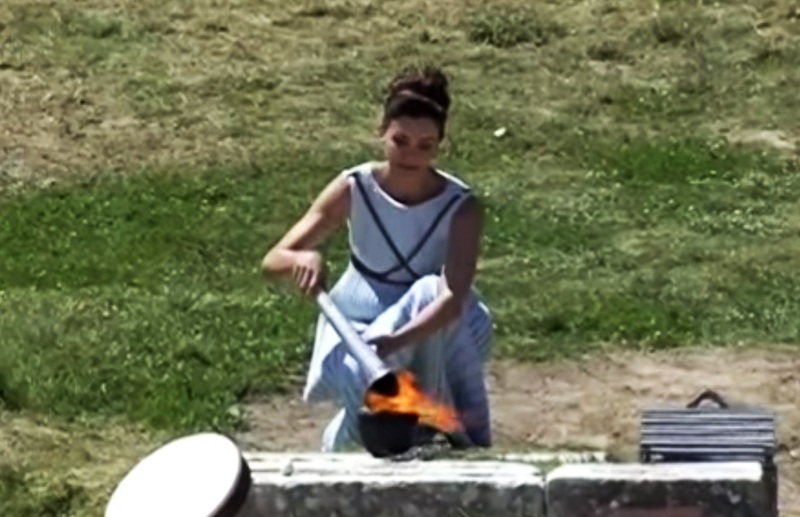 An actor performing the role of high priestess lit the torch by using the sun’s rays. The torch will be taken by various runners on an international relay that will culminate at the opening ceremony in Rio de Janeiro on 5 August 2016. The ritual was established 80 years ago for the Berlin Games, based on a ceremony in Ancient Olympia where games were held for more than 1,000 years. Brazil President Dilma Rousseff was forced to cancel her trip to ancient Olympia because of the impeachment threat she faces. The flame is due to arrive in Brazil on 3 May for a relay across the country, travelling through hundreds of cities and villages in every Brazilian state. It will be carried by about 12,000 torch bearers.